+Why is the family meal important? 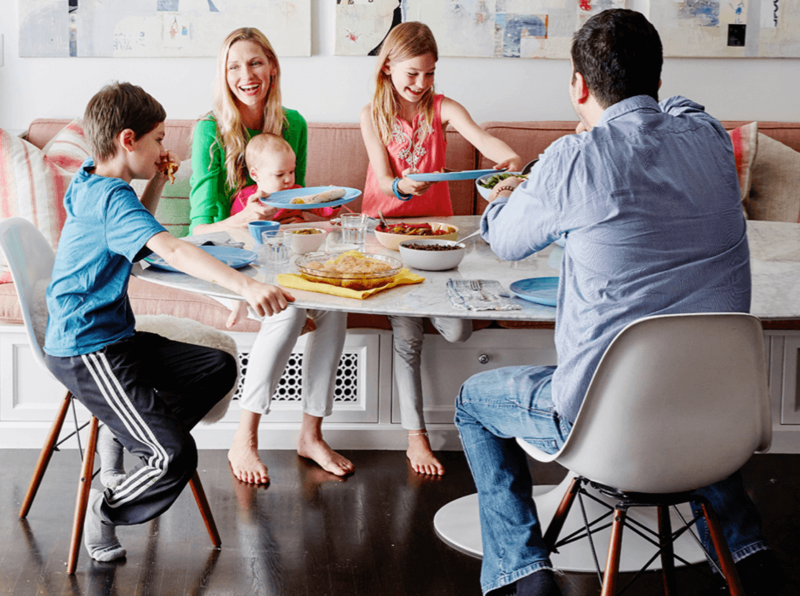 Studies have shown that eating dinner together as a family has a positive impact on children’s behavior and eating habits. Results have shown academic benefits such as an increased vocabulary, earlier reading, and better test scores. There are also nutritional benefits as children are more likely to eat more fruits and vegetables, and are more open to trying new foods, when eating together as a family. One Potato understands that preparing a meal that every member of the family will enjoy is often difficult, but we also believe it’s possible. By offering recipes that have proven appeal to both kids and adults alike, One Potato saves the family chef from making multiple meals and provides a simple pathway to the rewards of family dinner. +How is One Potato different from other meal kit delivery services? One Potato is the only mealtime solution created by families for families. We understand the desire to feed your family organic, wholesome, home cooked food, but also the reality of a busy schedule. So we’ve made One Potato easy, affordable, and reliable. Family Portions: Specify the size of your family and you will receive portions appropriate to the number of adults and kids so that there is no waste. Family-friendly Pricing: We make it affordable to feed your family organic meals by offering child portion pricing. 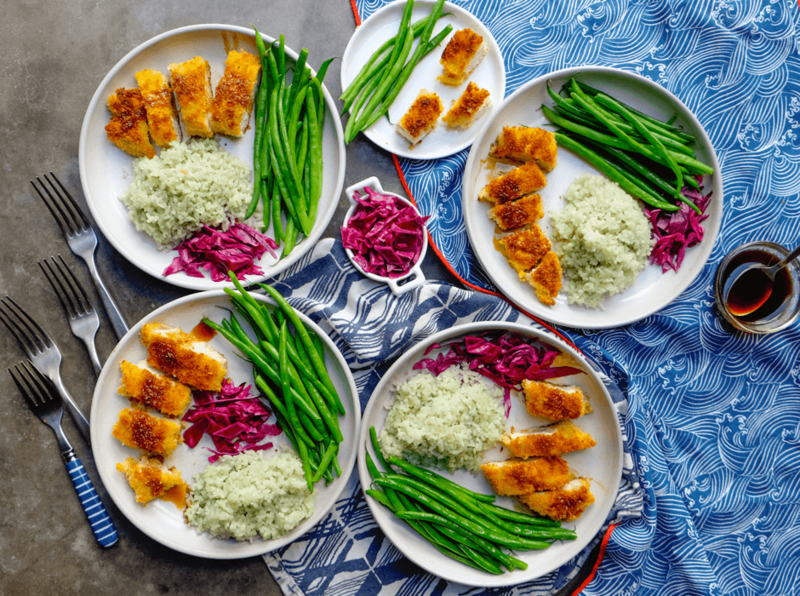 Kid-friendly recipes: All recipes are from the trusted family food brand Weelicious and a James Beard award-winning chef. We all know how challenging it can be to introduce new flavors to your children, so we’re here to help. Kids included: We encourage children to help in the kitchen, and we provide tips & recommendations on how to safely include them! Plus, there is cookie dough in every box! As parents, we know how important it is to know what your kids are eating. That’s why all of the protein and produce we deliver to your home is certified organic. One Potato purchases its ingredients from local farms and vendors. Time is of the essence when you have a hungry family waiting. 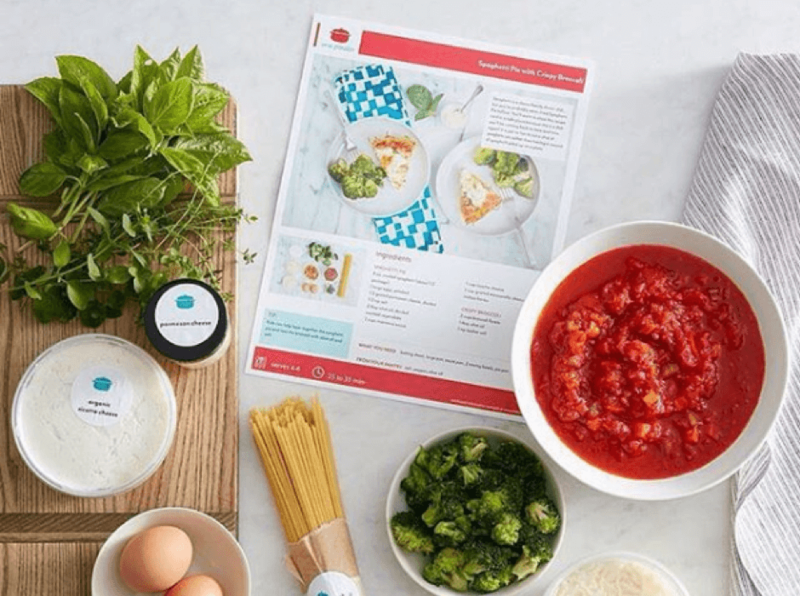 With semi-chopped and prepared ingredients, along with explicit instructions, you’ll be able to whip up a delicious and healthy meal in 30 minutes or less. Who doesn’t love a good surprise? We know your kids do. Each week you’ll receive your own organic slice-and-bake cookie dough to end your meal with that perfect bite of dessert. All in all, One Potato will simplify your life without breaking your bank, and will keep your family on the road to healthy living. +How long does it take to prepare a One Potato meal? It takes 30 minutes or less to prepare a One Potato meal. Our ingredients arrive semi-prepared. For example, most of our proteins and vegetables arrive pre-cut and sauces and marinades are ready to cook. Our goal is to make cooking as easy and enjoyable as possible, and to allow you that extra time to spend with your family. +What is a child sized portion? A child size portion is approximately half of an adult portion. + Can One Potato accommodate Nut Free and Gluten Free families? One Potato offers nut free and/or gluten free versions of all of our recipes. We simply send alternatives to foods that contain nuts & gluten. Login to your account and click on your My Plan page. Select Nut Free and/or Gluten Free in your dietary preferences. However, please be aware that One Potato is not a nut free or gluten free facility. We do have products in our kitchen that contain nuts and gluten, and while we take the greatest care in preparing our meals, we cannot guarantee that there is no cross contamination. "I have never had the time or patience to make a home cooked meal for my family each night and now it is possible"
"I have been using One Potato for a year and love it! We look forward to picking our meals as a family and everyone always cleans their plate." "Two straight days of four thumbs up at dinner! One Potato wins dinner."